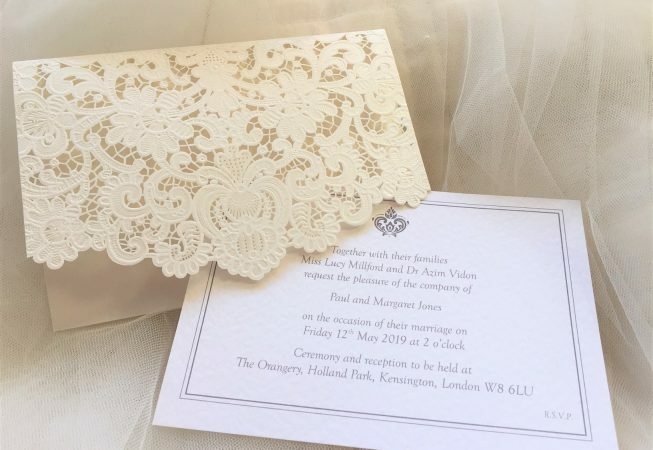 Laser Cut Wallet Wedding Invites designed to wow you guests. 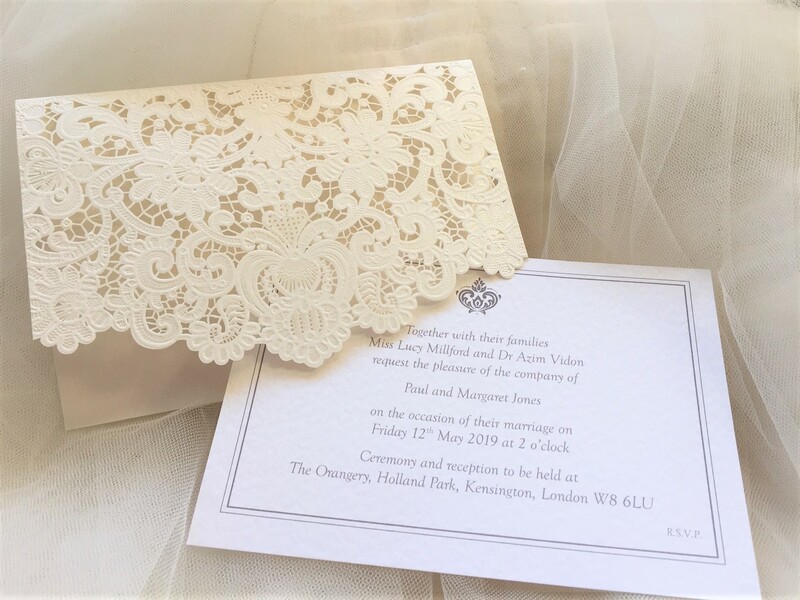 Luxurious laser cut wallets are produced in a white pearlescent card are supplied with a separate invitation card (270gsm white or ivory hammered card) which fits neatly inside the wallet. 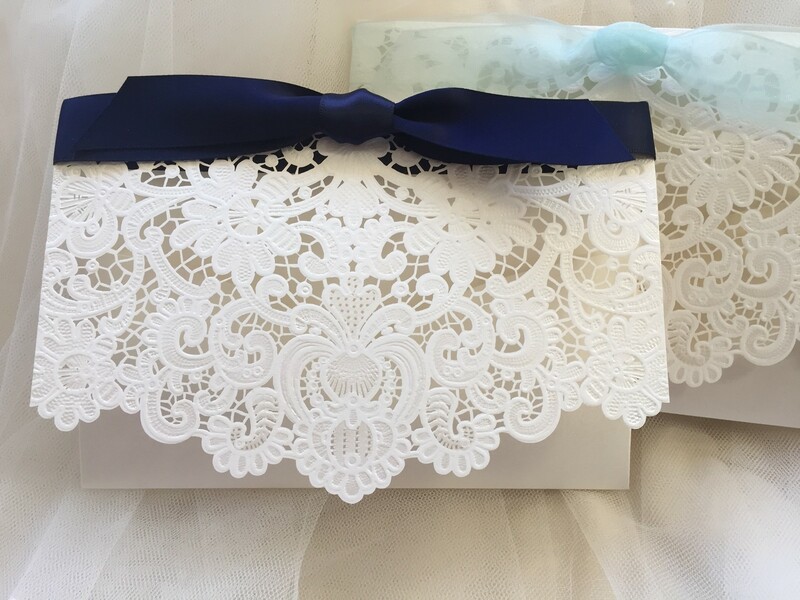 The invitations are supplied with a white smooth envelope. The wallets are large enough to accommodate extra inserts ie. 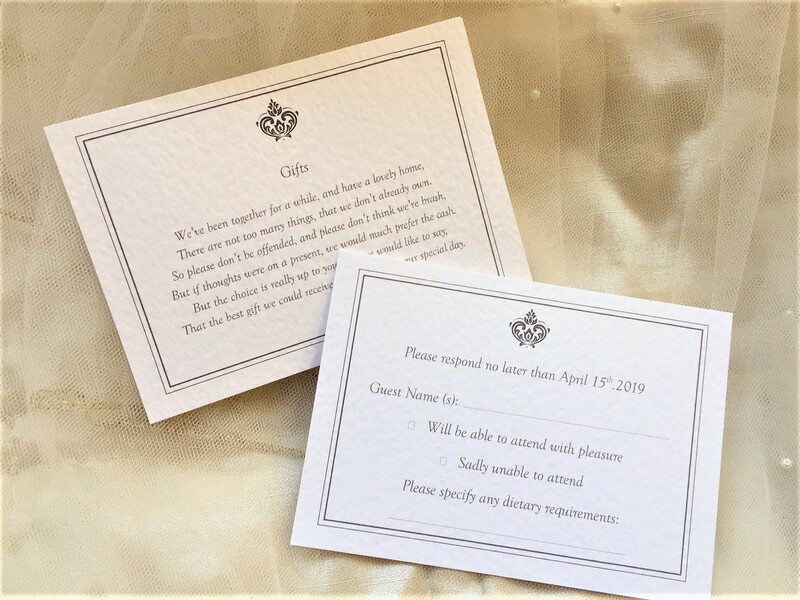 RSVP or guest information cards. They can be ordered with organza or satin ribbon if you wish. We have a large selection of ribbon colours to choose from. The matching additional stationery can be ordered at the same time. Add them to your basket or detail what you’d like in the ‘comments box’ when you place your order. The costs will be added to your invoice. If you need help with your wording don’t worry. We have lots of experience and we will compose your invitations for you from the details you provide (no extra charge for this). Daisy Chain supply free envelopes with all invitation or thank you card orders. Why not take us up on our free guest name printing? Alternatively if you prefer to handwrite your names, then we can insert a line instead. We understand it’s a busy time organising a wedding, invitations are supplied fully assembled, no self-assembly necessary. Our minimum order quantity is 15. We have very short lead times, all our printing is done in house. 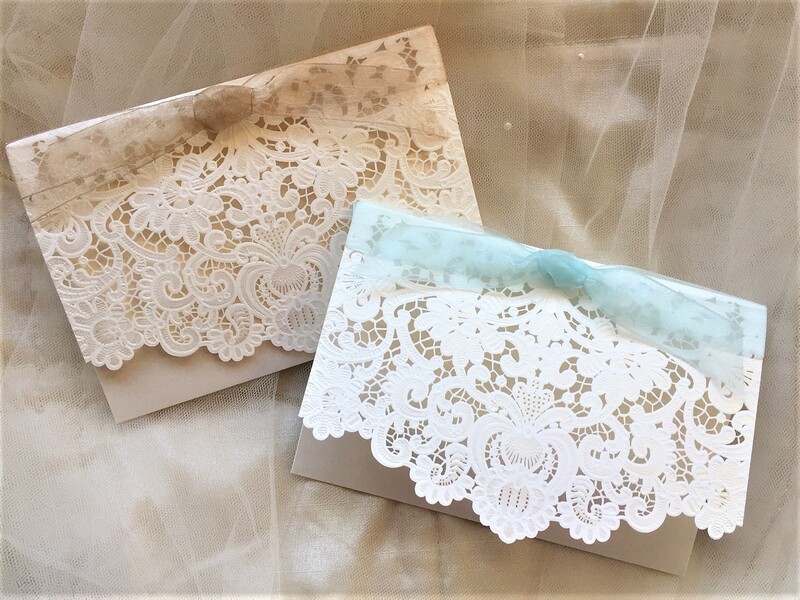 Invitations and wedding stationery can be ordered and supplied within a short timescale, usually 3-4 days for quick delivery in the UK. Wallet Size is 18.5cm x 12.5cm.